ACEN aka Anime Central is approaching up fast! 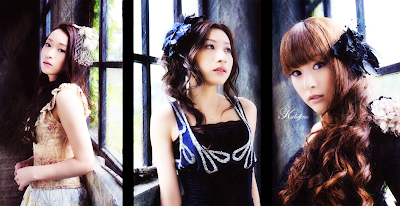 I need help from the fans of Kalafina to submit questions they would like the bands to ask, if not, my friends will have to spend time thinking up questions ourselves to ask, but I want to give you, the fans, the oppurtunity to ask the questions! So comment below with your question and I'll respond to you if we'll ask it! Now we're still preparing for the big event and will be interviewing another artist/voice actor/etc, but right now we are busy with finals! Ah yes, the dreaded word "Finals", a part of all college students lives and sometimes even high schools. I've been studying and working my part time job so I've been really busy! I'm going to update the website tonight with an aritcle about the up and coming artist Jessie J. Also, I plan to have more giveaways during the summer! I'm going to try my best to buy things from all over. We're also going to try to shoot more videos, so keep tuned in and remember submit your questions!